Professor Bejan explain in this article from Mechanical Engineering, why every snowflake is not unique about its principle, the constructal law. Every snowflake conforms to only one architecture: a flat star with six fishbones connected at the center. into architectures that provide easier access. It’s another example of the constructal law. 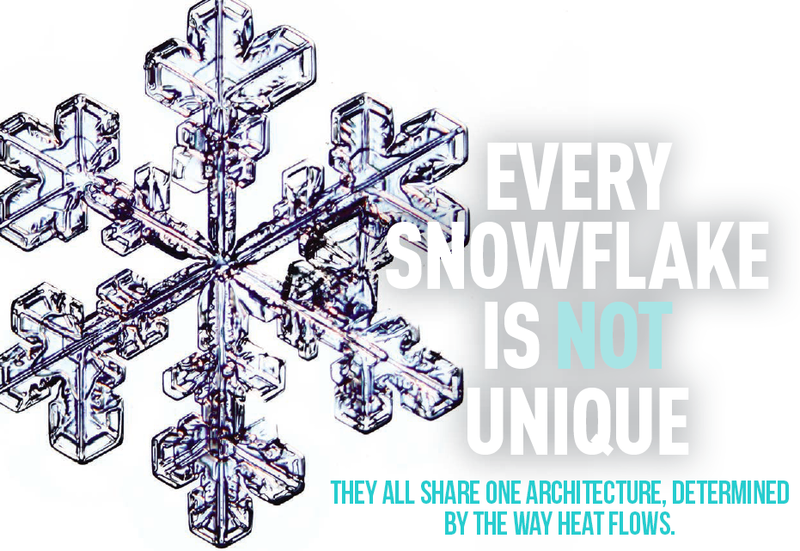 Adrian Bejan, Every snowflake is NOT unique, Mechanical Engineering, January 2015, pp.40-41. Why Every Snowflake is NOT Unique, Duke University Professor Adrian Bejan, YouTube Video.